Exclusive! Fresh, fanciful and oh-so practical! 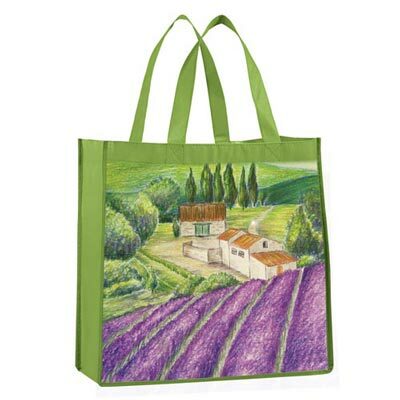 This charming design features a picture perfect garden filled with rows of lavender. Printed on both sides. Non-woven polyester is extra lightweight, yet incredibly sturdy and coated for easy cleaning. Imported. 14"w, 12"l handles.